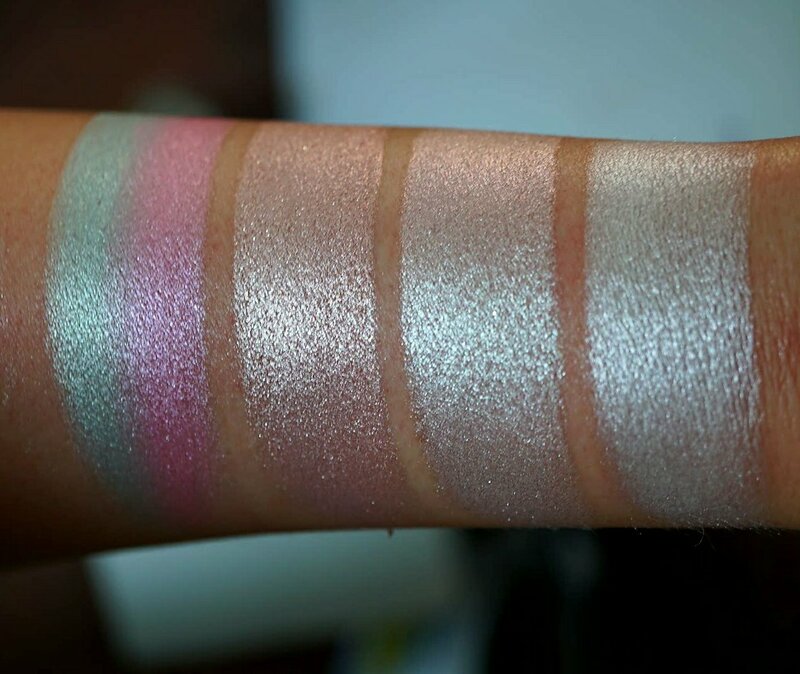 So as much as I love Clionadh Cosmetics fancy highlighters (and I love them a LOT!! ), I find myself reaching for these more simple colors even more. These eight are the ‘Pantheon Extension‘ a new addition to their permanent ‘Deity’ series. They’re larger pans (44mm?) and they’re $16 cad each (approx $13 USD). Also they’re running a promotion for the month of September, if you buy anything from their summer collection then you can choose any one of their permanent highlighters for free. You enter the code SUMMERPROMO and which color you’d like in the check out notes. I’ve been using these four in pairs. 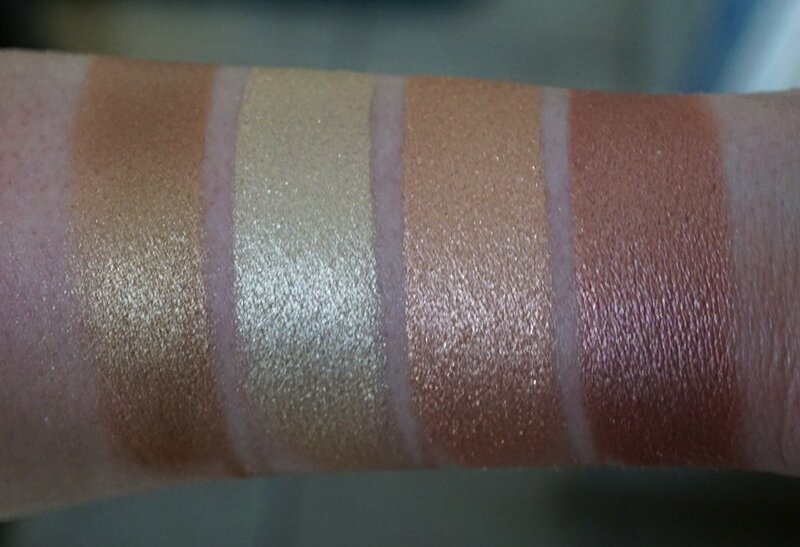 Ceres is a mid-toned honey gold with a smooth metallic finish and Apollo is a white gold with subtle peach undertones. Ceres is a tiny bit dark for me but it’s perfect when mixed with Apollo. 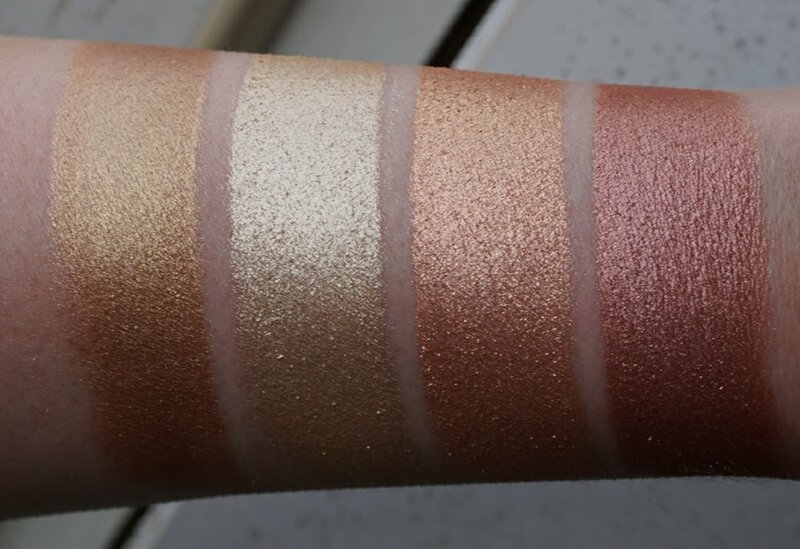 Vesta is a light peachy pink with gold shimmer. 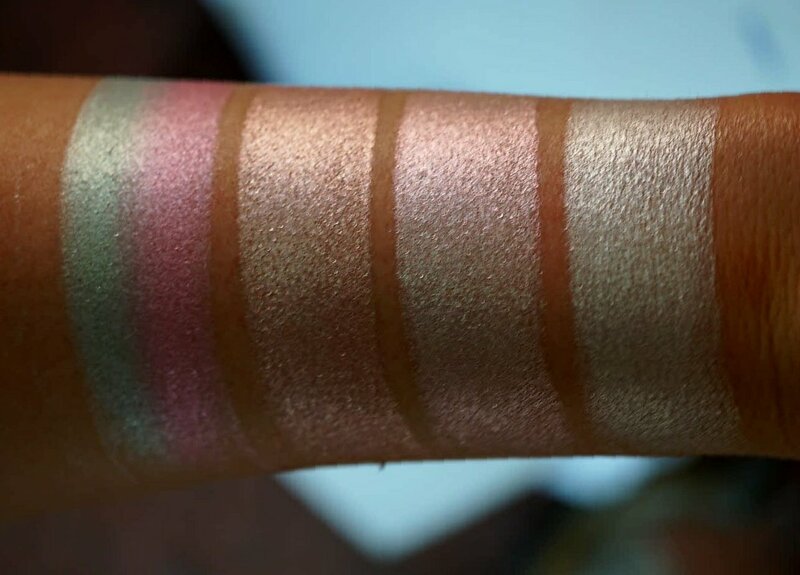 Bellona is an ultra metallic pinky copper. 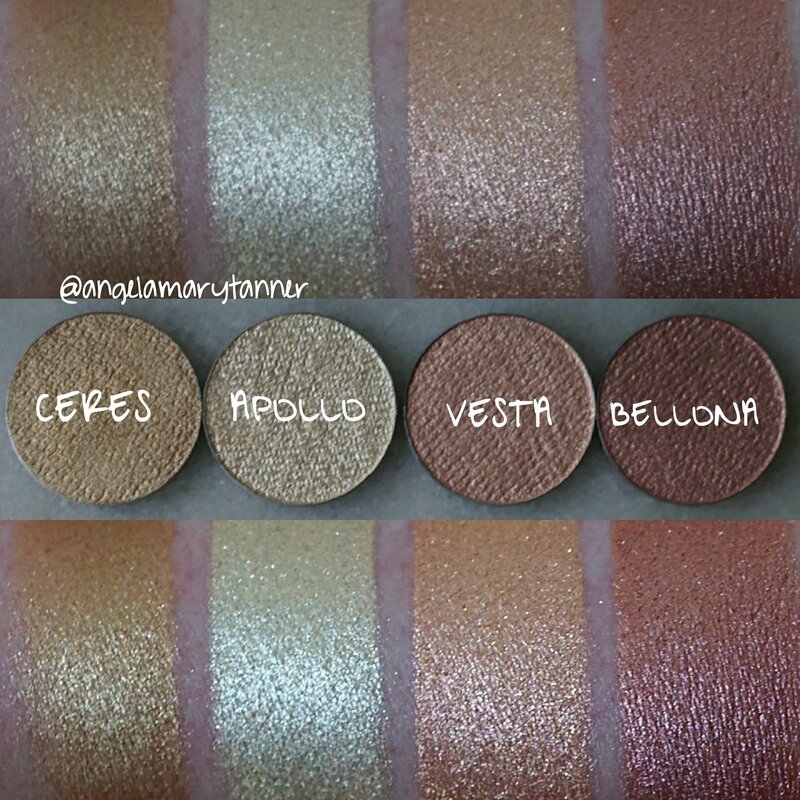 I love Bellona but it’s better suited for dark medium to deep skin tones. So I mix these two as well for the perfect metallic peachy pink! 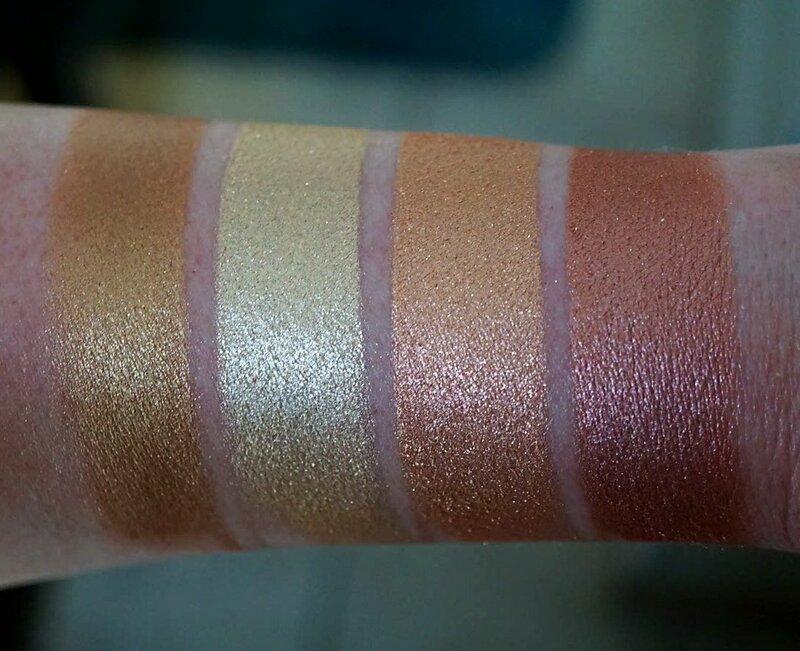 These photos are truly not doing these next four justice. 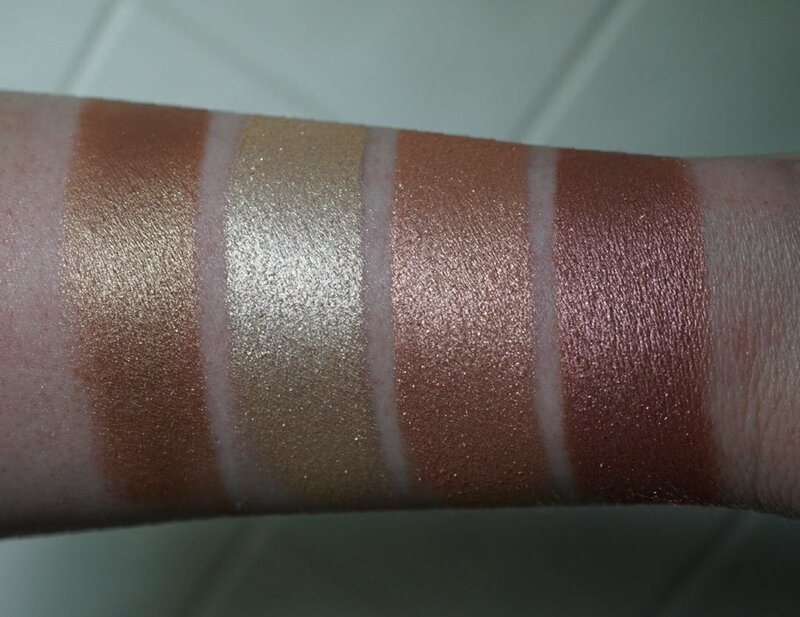 I actually swatched them twice and still I wasn’t able to get their shift to show up on camera. Sigh. You’ll just have to take my word for it. POMONA is half pink and half mint green. 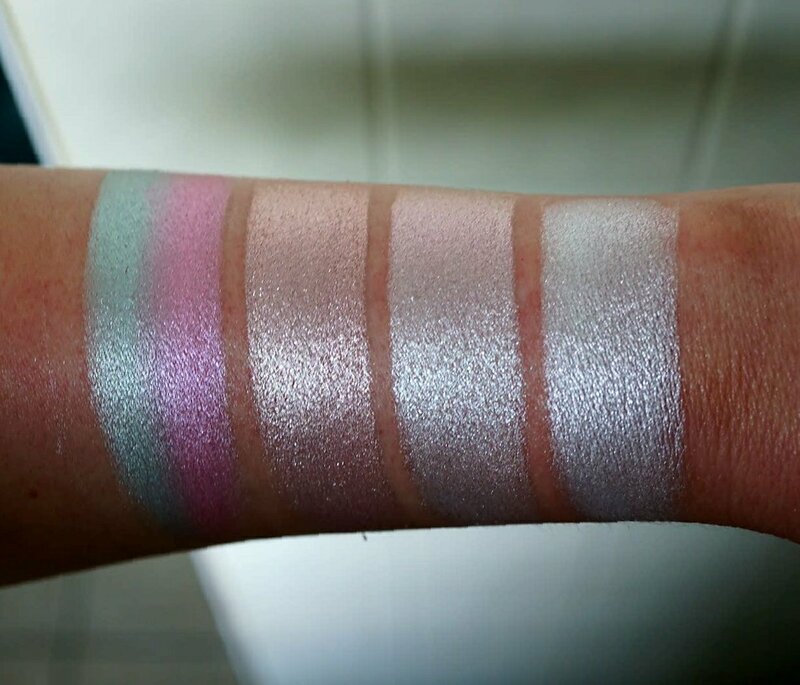 It’s divided down the center making it easy to use each color separately or to mix them together which creates a silvery lavender. 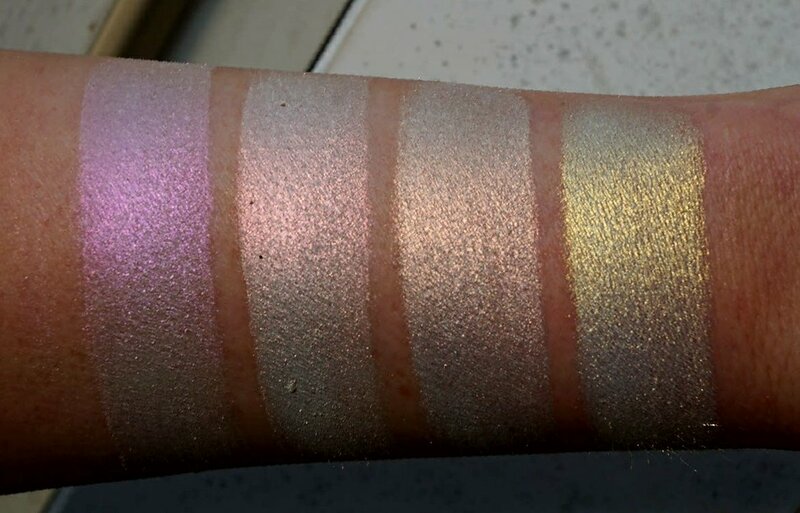 FAUNUS has the colors of several of their other highlighters marbled together in one pan. 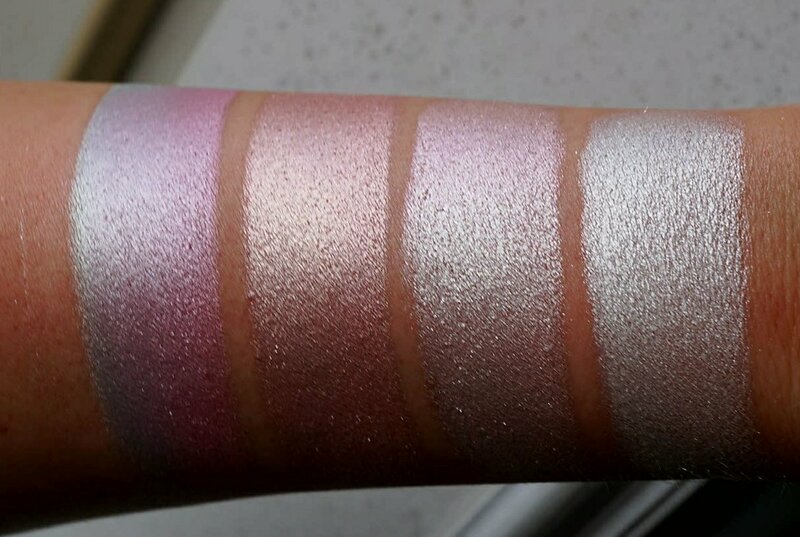 On the skin it’s pearlized pink champagne. MINERVA is my favorite of the four. I’m so mad that I couldn’t capture the shift on camera when it’s so apparent in person. 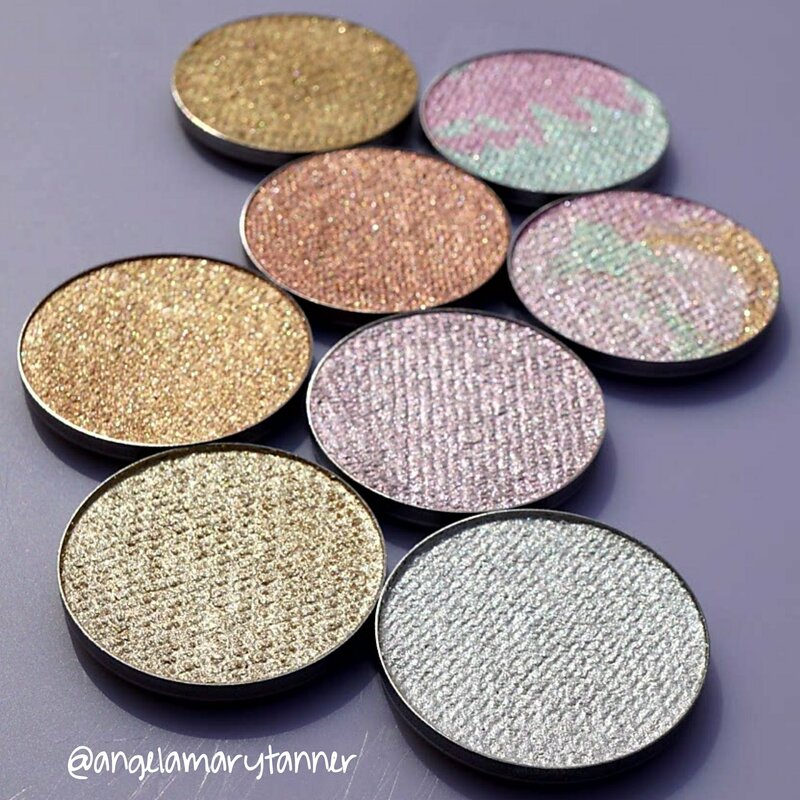 It’s pearly silver with a strong pink and green shift. It looks ah-may-zing on the cheekbones. 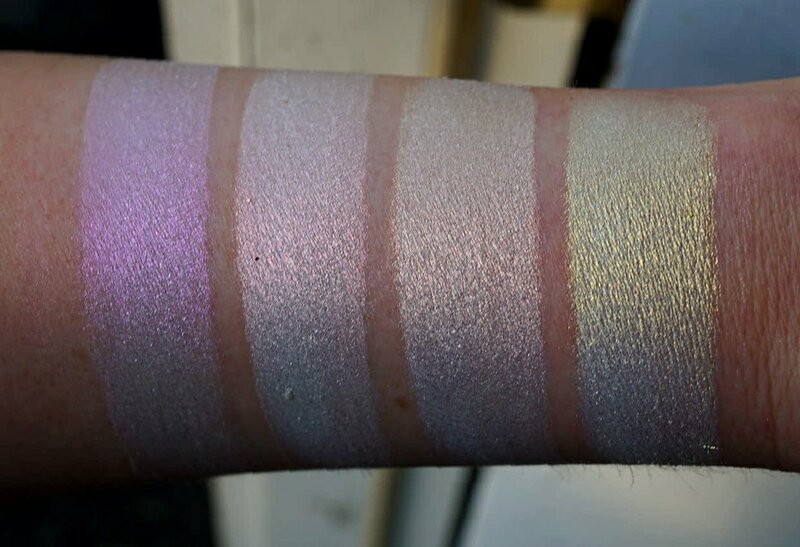 LUNA is a pearly white, perfect for light skin tones. 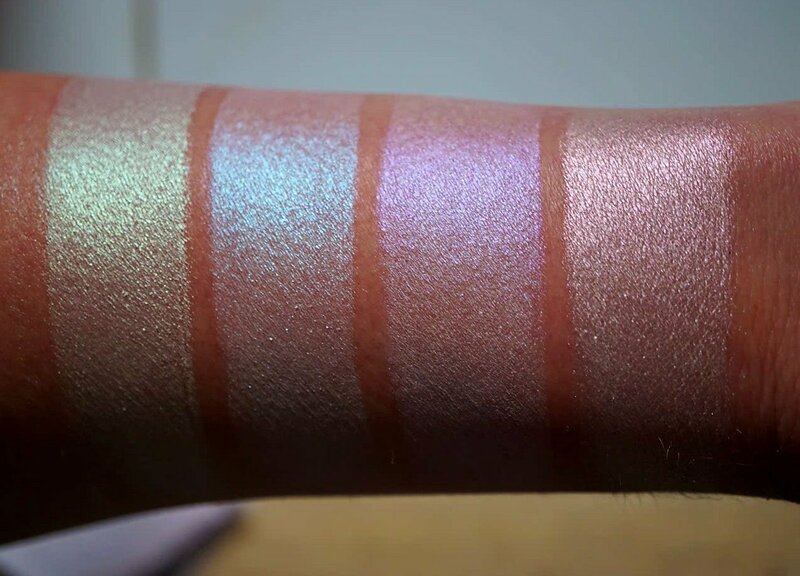 The ‘Aftershock‘ highlighters are also part of Clionadh’s permanent line. There’s eight in total. They’re sold individually for $14 CAD (approx $11.50 USD) and there’s also a bunch of different bundle options available on their website. You can build your own quad only $27 CAD which is like $22 USD. Bargain! 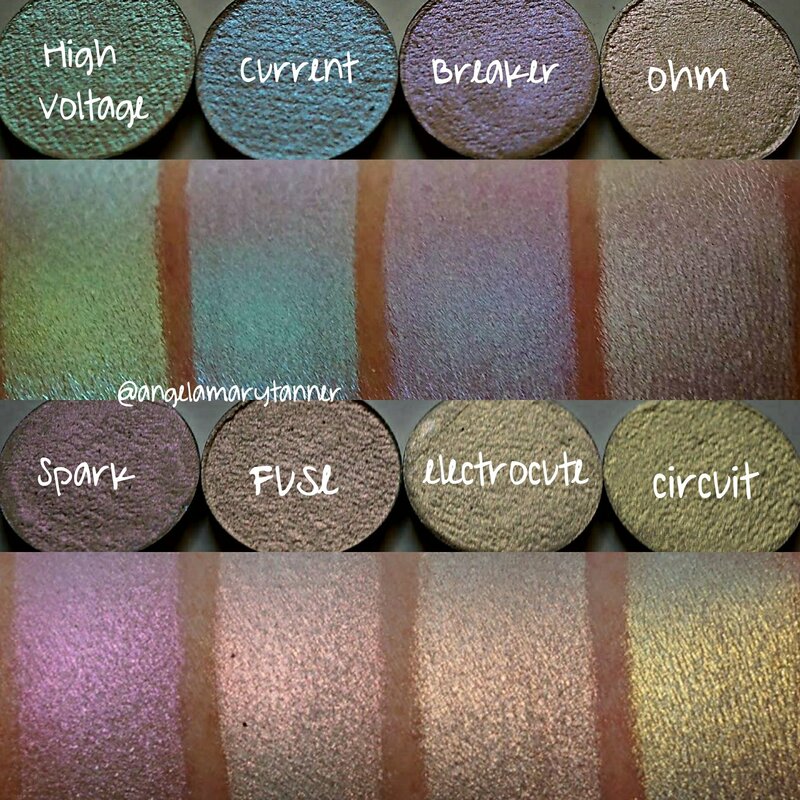 This collection is their take on the popular iridescent duochrome highlighters. 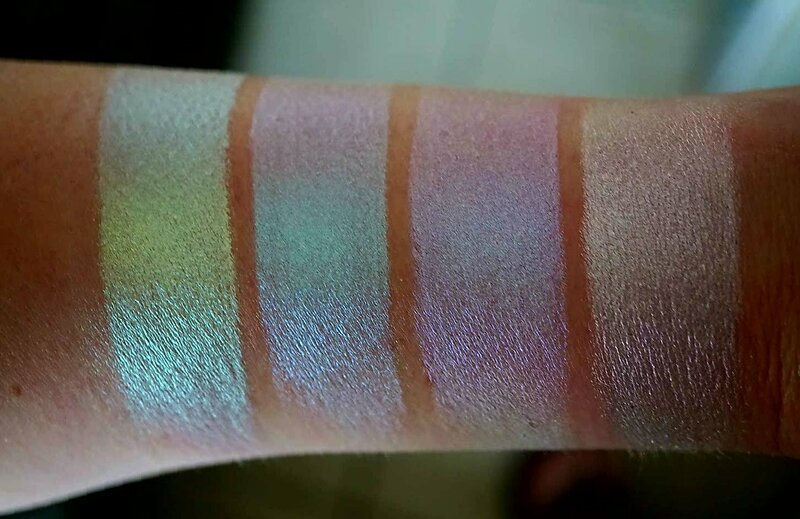 They’re very similar to the KVD Alchemist palette, Moonchild etc. This type of formula can be problematic if the base too white so I’m happy to say that these guys don’t look chalky on me! 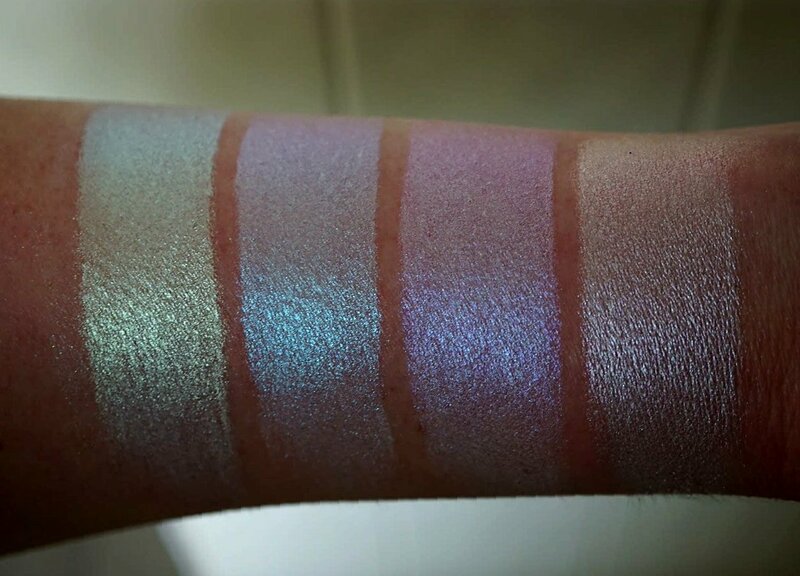 I haven’t had the opportunity to try them on darker skin but they have swatches on their instagram page that look pretty amazing. 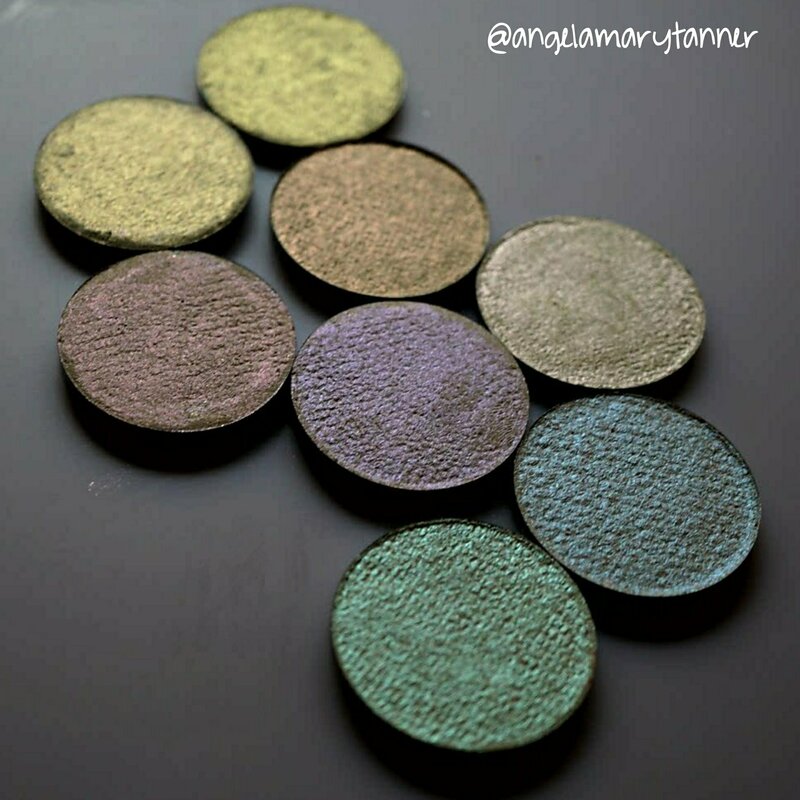 And of course these will look great on the eyes and lips and layered over darker colors. 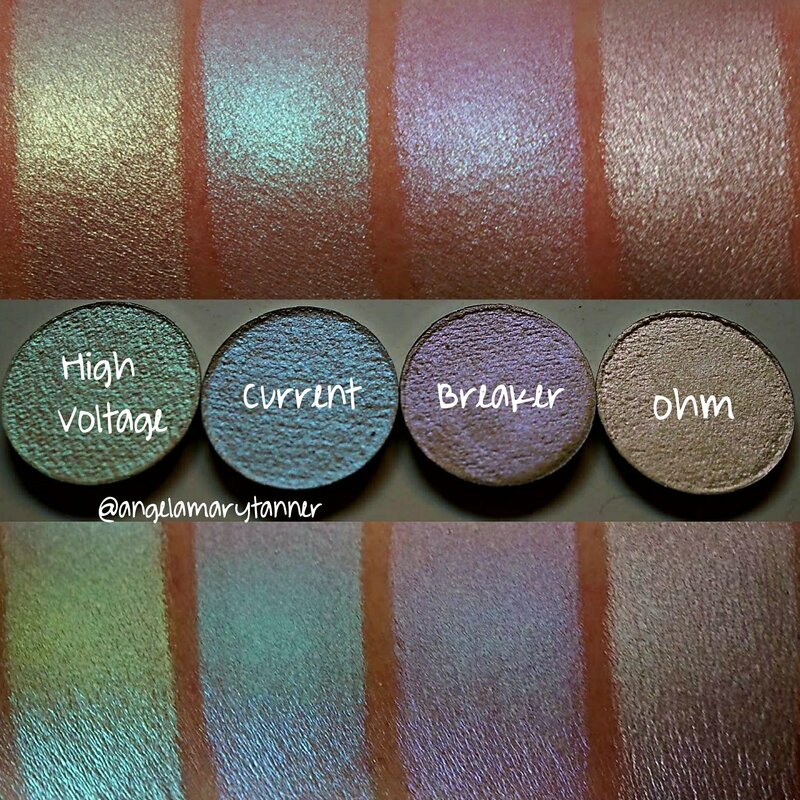 High Voltage is a bright mint green. 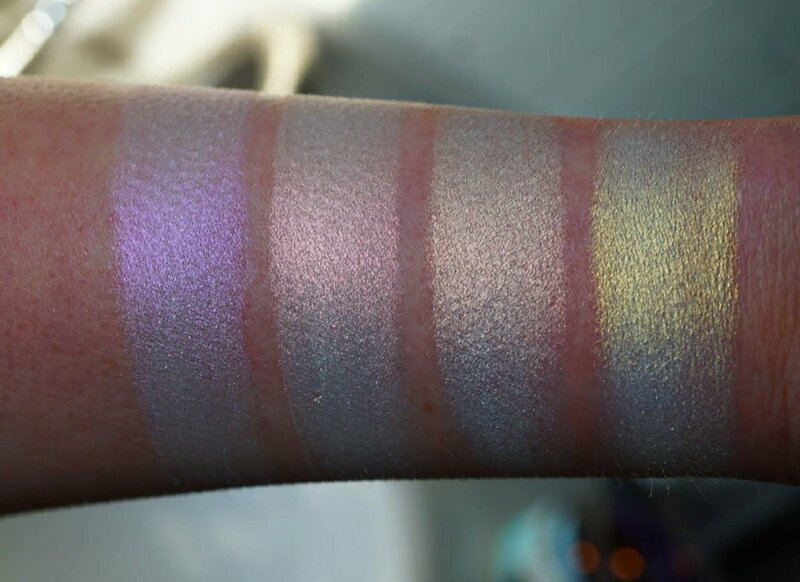 Ohm is a pearly white that shifts pink and blue. 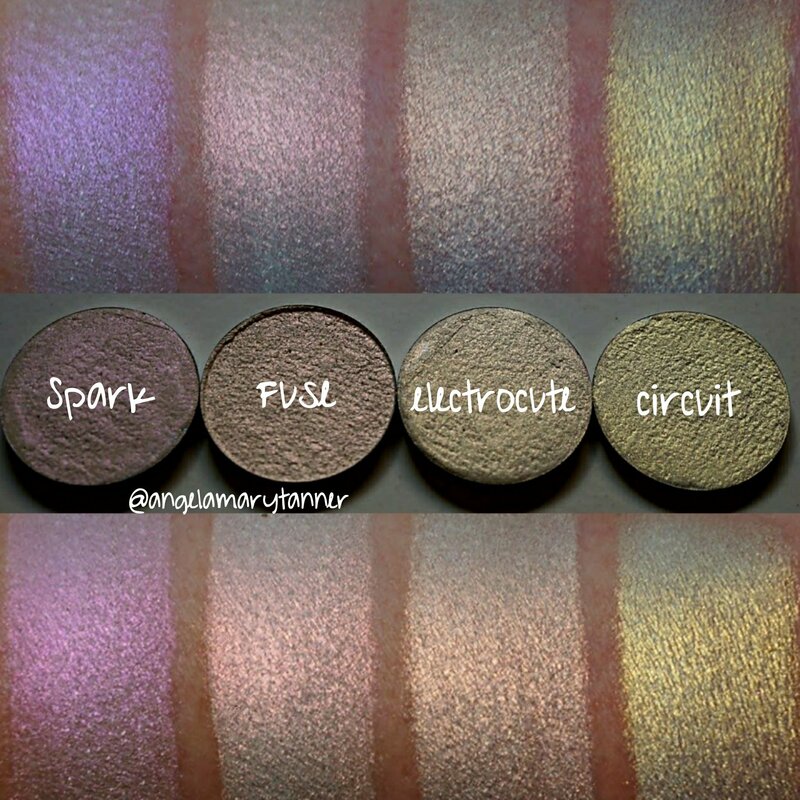 Spark is a pink and purple duo. Fuse is a vibrant coral. Circuit is a bright yellow gold. 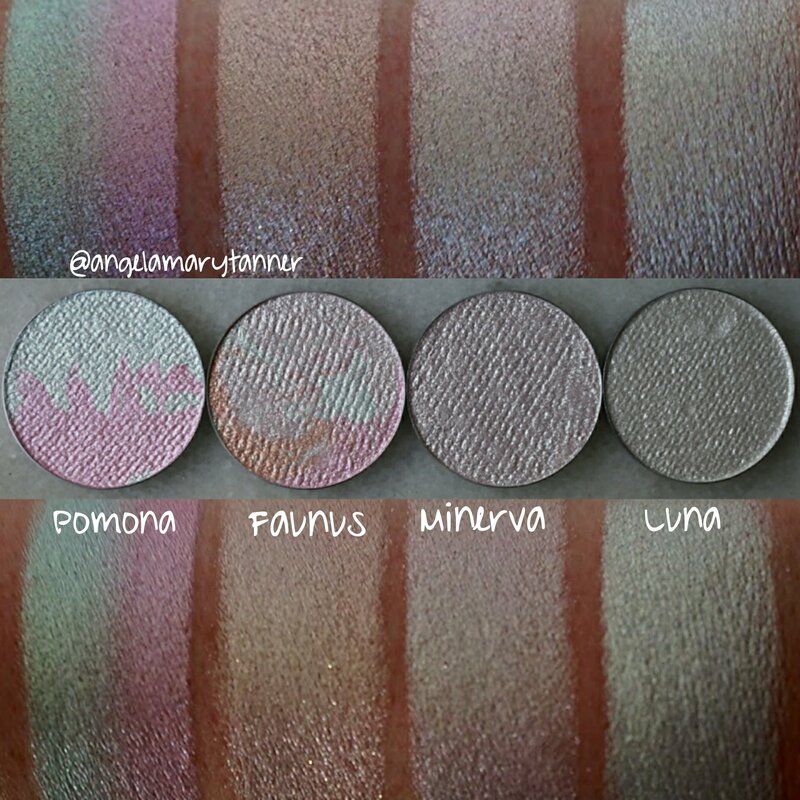 I still have to swatch and review their Paleo palette which will be restocked one final time next month! Previous Fenty Beauty Foundation: probably the most unpopular review I will ever write.